Sports are not linear; that's why you need the SKLZ Agility Trainer Pro for speed training. 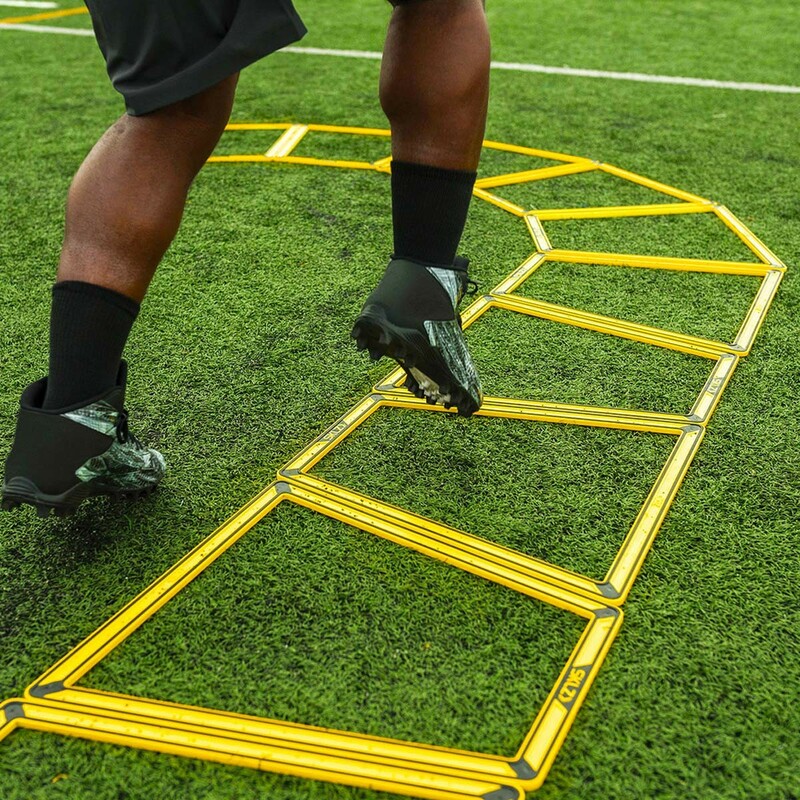 The Agility Trainer Pro's trapezoid design simulates game-like movements to improve footwork and agility. 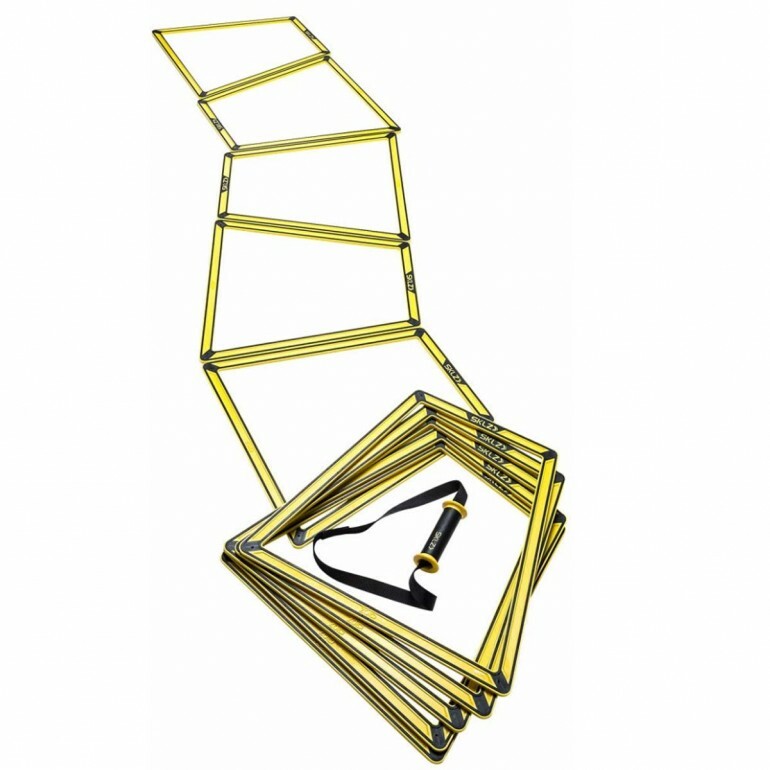 This versatile speed and agility trainer is built to create curvilinear and broken training patterns. It helps you practice change of direction and helps cut your reaction time while adding speed in all directions. 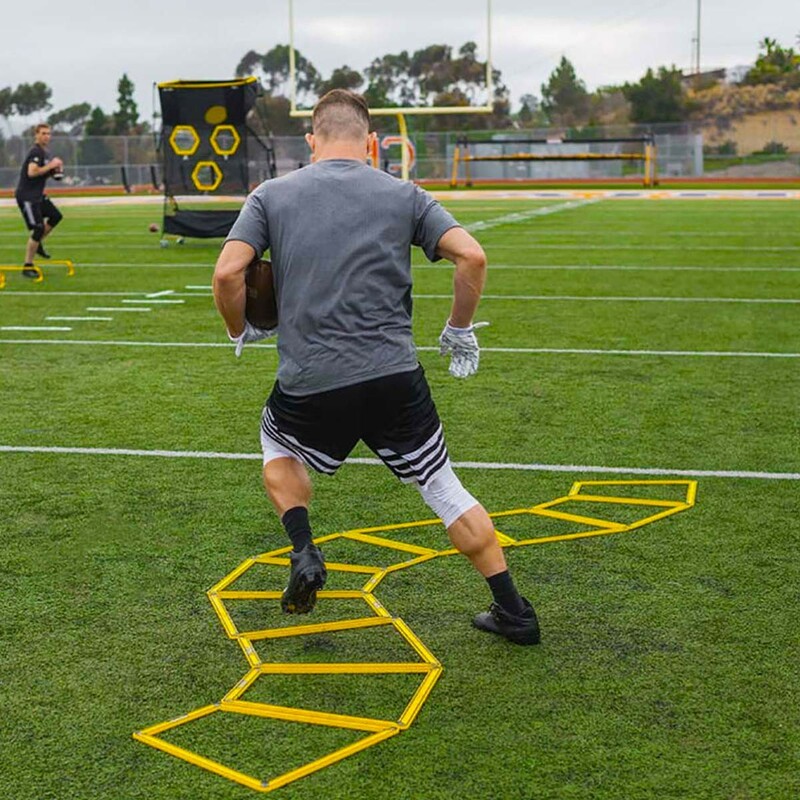 The unique trapezoid design lets you train for quickness, power and speed with true game-like movements. 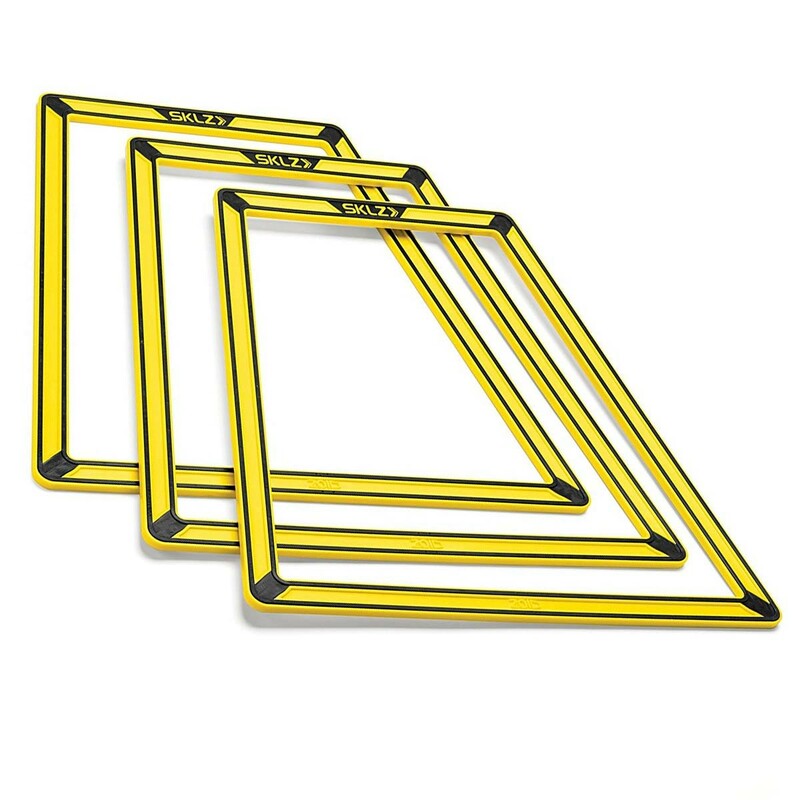 The durable design of the agility trainer set works on any surface, including hardwood, turf, and grass. The Agility Trainer Pro won't slip, slide, or otherwise interrupt your training sessions. 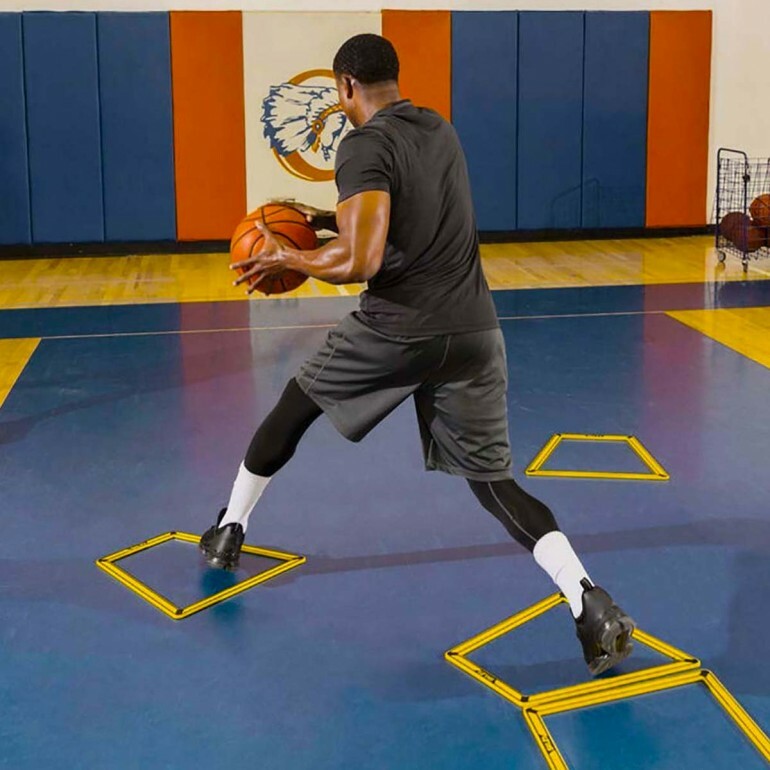 It is the must-have agility trainer for any athlete who is serious about their footwork. Transport the Agility Trainer Pro to practice with ease with the included carry handles.